My download speeds are different using my WiFi or ethernet connection. Using a hard connection, that is ethernet cable, I get a download speed of 5.7 Mbps. Using the wireless I get .422 Mbps. I'm using a Netgear WGR614v6 wireless router. Can you help me speed up the wireless connection? What OS/service pack is it running? What wireless network card are you using, and what driver version is currently installed? What firmware revision is installed in the router/access point? What ISP and plan are you using, and what are the provisioned (or advertised) speeds? What are you using to test your download speeds? t similiar results using Ubuntu Linux, Win7, and Mac OS X.
I am running Ubuntu Linux 10.4 on the Thinkpad. Does your internet connection require a login? no. Internet IP Address: get dynamically from ISP. DNS Address: get automatically from ISP. Router MAC Address: Use default address. Qwest at a speed of 7 Megs. OK, I think I can offer some suggestions. The Intel 2100 card you are only supports 802.11b, which while advertising 11Mbps throughput will normally deliver somewhere between less than 1 to 5Mbps max. in actual real-world throughput. How close you can get to 5Mbps can be affected by many things such as proximity, interference, congestion, access point firmware and settings, drivers, power management settings, and more. To see if proximity is a problem, relocate the laptop to 6 feet or less from the router in a direct line of sight. Also change to using the much better http://speedtest.net instead of the Qwest speedtest link you mentioned. 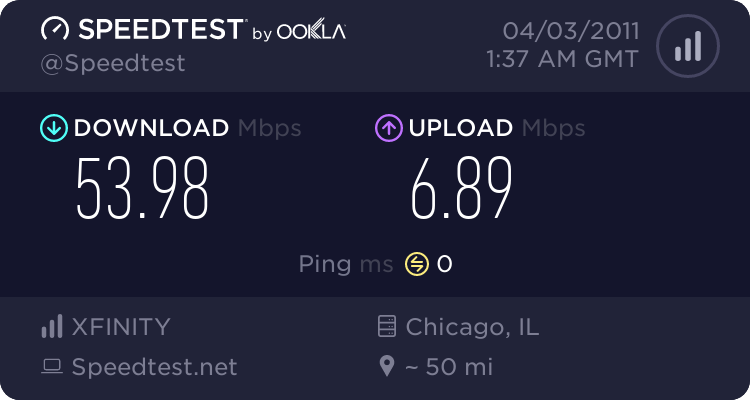 Run a speedtest, what are the results? In the interest of minimizing other variables, keep this distance between the router and laptop for all of the remaining tests. Drivers and driver based power management settings can affect speed. Install the latest driver for that card and disable any wireless power management. To disable the power management in Windows you would open the device manager, select the device, then right click and select Properties; Advanced tab; then look for a "Power Save Mode" or any power related settings and either disable them or set them for minimum power savings (maximum power use). Once this is done, run another speedtest, what are the results? The firmware in your router/access point is old, try updating to the latest version to see if that helps. After updating, run another speeedtest, what are the results? Since the 2100 card you are using only supports only 802.11b, set the Mode in the router to "b only". 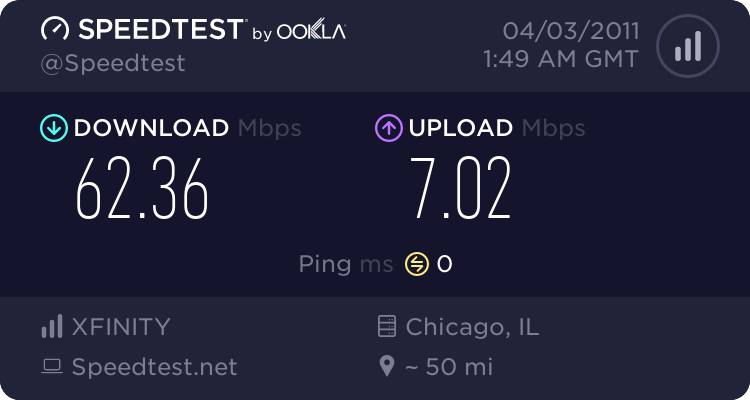 Run another speedtest, what are the results? The wireless-b standard was released before WPA/WPA2 security was created, so many "b" cards don't even support WPA/WPA2, and those that do can have a performance penalty since the hardware wasn't originally designed for it. For testing purposes, disable the wireless security on the router and then run another speedtest, what are the results? Remember to turn the security back on after this test, as even if this turns out to hurt performance I would still choose security over performance any day. As you can see, 802.11n offers significantly higher wireless performance than wireless-b, but even wireless-g will support 20Mbps or more in real-world throughput. Scott. Just reviewed your book. I've got to get a Wireless-N card for my T40p. Presently figuring out what's got drivers in Ubuntu. Expect that will take care of everything.